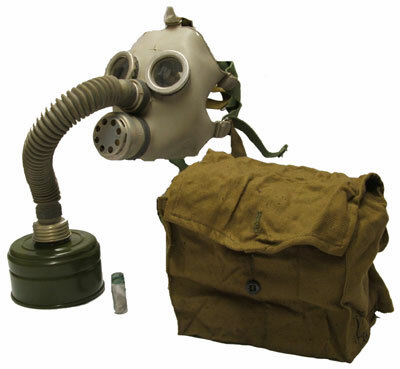 This is an original 1970-1980's era Soviet PDF-D Civilian (Child or Youth) gas mask, hose, canister/filter and carry bag. It was widely used in the USSR and other Warsaw Pact countries, was civilian-issued and is also known as the P-15 model. The gas mask may be used with a small filter canister or a full-sized GP-5 filter. It is a children's gas mask designed for use by youths ages 7 to 17. * GasMasksAndFilters.com acts as a third-party distributor and cannot be held responsible for the level of protection the products available for purchase on this web site provide. The products are sold as is, and items are not returnable once shipped.